Mini Tennis Camps provide a day full of tennis and multi-sport activity suitable for ages 5*-12 of all tennis backgrounds. They're fun, active, educational...and cheaper than childcare! 9am - Registration, warm-ups, team based agility, balance and coordination activities. 1pm - Multi-sports (5 a side football, supervised play activities). 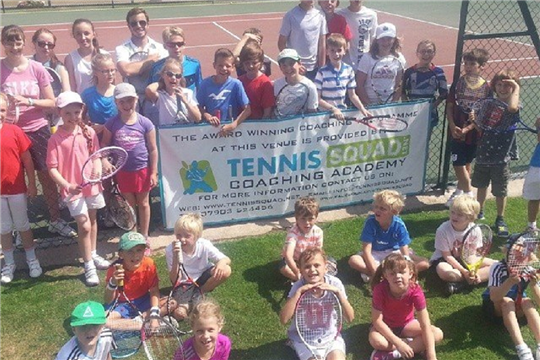 Jnr Tennis Camps are for full-court players aged 11-16. They run 10am-3pm and include more advanced activities including structured hitting and drills, patterns of play, team and individual matchplay events. Some camps are Boys/Girls-only and are marked accordingly. Children in Reception year are invited to camps provided that they are already members of our term-time coaching programmes .